Football Ticket Pad are proud to sell Swansea City football tickets. Due to the capacity of the Liberty Stadium, Swansea tickets are often hard to obtain but we generally have tickets for most games. We a specialist ticket broker meaning that all the Swansea tickets carry a 100% guarantee with tickets available in the Premier League, FA Cup and EFL Cup for the 2016/17 season. 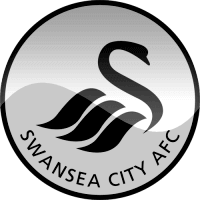 Swansea are an established Premier League side who play an attractive brand of football which even the neutral can enjoy. A trip to the South Wales club is a great day out and Football Ticket Pad can help by providing you with your very own Swansea tickets, including VIP Hospitality seats and away section tickets for travelling supporters. The Swans play their home matches at the Liberty Stadium which holds just over 20,000 fans. Despite its relatively small size, it is a modern stadium with two tiers on each stand and Football Ticket Pad has a variety of Swansea tickets available to match your preference. The stadium is state of the art and is also home to Rugby Union side, The Ospreys. Longside Upper: Housed in the upper tier of the West Stand and East Stand fans can enjoy great views for reasonable prices at the Liberty Stadium. Due to the small capacity of the stadium fans sat in the Longside Upper section of the ground are not as far away from the pitch compared to other Premier League stadiums. Keep an eye on our Swansea City ticket pages to see what we have available. The West Stand is viewed as the club’s main stand and is often the preferred longside stand to sit in. Longside Lower: These seats are regarded as the best seats as they provide customers with a eye level view of the match and a clear sight of both ends of the pitch. Fans are also close to the action and longside lower seats tend to be the first to sell so be quick to secure your Swansea City tickets with us! Shortside Upper: Shortside tickets are located behind each goal. Swansea City fans wanting Shortside Upper tickets will be in the South Stand with fellow Swansea City supporters. These seats are amongst the cheapest available so keep checking our pages for a good deal on Swansea tickets! Shortside Lower: These are the cheapest football tickets that are listed on our site and they are located in the lower tier behind the goal. At the Liberty Stadium they will be in the South Stand, however because of the quality of the view available they are relatively low prices. All of our tickets carry a 100% guarantee and Shortside lower tickets are a fantastic spot when your side are shooting towards your seats! VIP Hospitality: At Football Ticket Pad we are able to offer a limited number of VIP Hospitality tickets for Swansea City matches. If your preferred hospitality option is not listed on our site, please contact us and we will see what we can arrange for you. The Liberty Stadium has a host of hospitality packages for their home matches, including 28 boxes in the West Stand offering premium match views. The LT10 and 1912 Heritage Clubs are two particular favourites at Swansea City, or if you are in a large group you may prefer a private box. Away Section: Football Ticket Pad can provide tickets for away fans wishing to travel to The Liberty Stadium. With such a limited allocation the demand for away section tickets is often extremely high. Away fans will be sat in the North Stand behind the goal at the Liberty Stadium and these tickets are strictly for away supporters only. Season / Members Cards: These ticket types are posted out to you on the week of the match you have purchased. They are cards which belong to Swansea City club members and season ticket holders who have made their seat(s) available to Football Ticket Pad. Tickets are sent to a postal address provided in the transaction and your season/members cards must then be returned after the match in a pre-paid envelope. E-tickets: Only available to customers who have purchased Swansea City VIP Hospitality tickets. Once payment is confirmed, customers are sent an emailed version of their ticket which they can then scan on matchday using the barcode at the bottom of the e-ticket. E-tickets are compatible on iPhones or they can be printed off and brought on the day. Paper Tickets: Will be send out the week of the match requested giving customers plenty of time to receive their tickets prior to the game. All of our tickets provide a 100% ticket guarantee and you will be notified once your payment has been confirmed and once your tickets have been dispatched. Swansea ended the season in 12th following a turbulent season in South Wales. A poor first half to the season ultimately cost Garry Monk his job as he paid the price for a wretched run of results. However, Francesco Guidolin managed to steady the ship for The Swans. Despite an early morale boosting victory against Manchester United, a miserable run ensued between September and December which saw Swansea win only one match, which was against Premier League strugglers Aston Villa. Monk was sacked in December and replaced by caretaker boss, Alan Curtis. However, he could not stop them crashing out of the FA Cup at the third round to Sunderland and Italian boss, Francesco Guidolin was handed the job to turn around Swansea’s fortunes with the club one point from safety. Guidolin settled quickly with victories over Everton, Arsenal and Chelsea with impressive performances from Andre Ayew and Gylfi Sigurdsson proving to be pivotal. The Swans ended the season on the front foot with pleasing wins against Liverpool and West Ham to ensure a comfortable mid table finish with 24 points from fifteen matches under Guidolin.